Coming up with designs for handmade cards doesn't need to be difficult. Even if you're new to the craft of card making, there are several ways to quickly create attractive and memorable cards for your family and friends. Washi tape is a type of patterned masking tape used for paper crafting. It is a great card making supply because it's both functional and decorative. Tear off two small strips of washi tape from your roll. Use tape to adhere sentiment to card base. Apply two strips of washi tape on the right side of your card base. Mount your sentiment on a sheet of coordinating colored paper. Trim as needed. 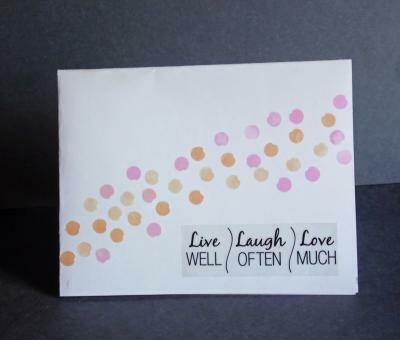 Use your glue stick to attach the sentiment to the card base, overlapping the washi tape stripes. Stamping is one of the most popular techniques for card making, but you don't need expensive rubber stamps for your project. In this project, the ink pad itself is your stamp. 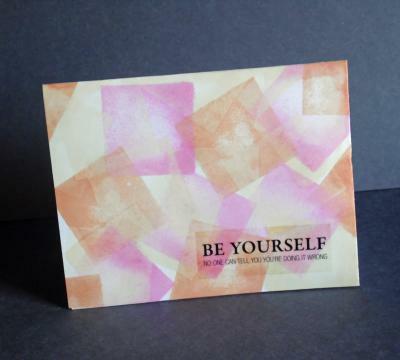 Stamp with the lightest color first, then use the two darker colors to create a layered effect. Overlap the squares slightly. Add the sentiment of your choice in the lower right hand corner. Use the pencil eraser as a stamp to create a confetti like pattern of dots in two or three different colors. Simple origami-inspired techniques add visual interest and dimension to any card making project. With the reverse side of your paper face up, fold in half horizontally. Unfold, then fold in half vertically. Unfold to reveal a cross shaped crease pattern. Fold the left and right sides 1/4 of the way to the middle vertical center. Fold the top and bottom sides 1/4 of the way to the middle horizontal center. Turn your paper over. Fold each of the four corners to the middle. Use your glue stick to make them lie flat. Add your chipboard flower in the center of the shape. 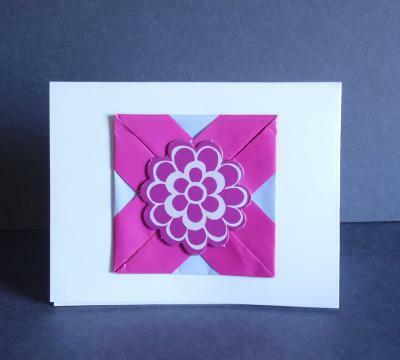 Attach the origami embellishment to your card base with the glue stick. Lay your solid colored origami paper in front of you with the reverse side face up. Fold in half diagonally. Unfold, then fold in half vertically. Unfold, then fold each of the four corners in to meet the center of the two creases you just created. Fold all the corners of the paper in to the center once more. Fold the inner corners out so they protrude from the square. Gently curl the inner layers up to reveal the reverse color of your solid origami paper. Attach a brad to the center of your origami embellishment. Glue the embellishment to your card base, then add two strips of patterned origami paper at the top and bottom of the card. 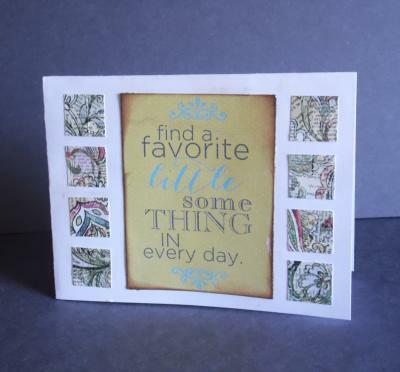 Paper punches make it easy to turn small scraps of colorful patterned paper into unique accents for your handmade cards. Punch three circles from your patterned paper. Use your paper trimmer to make strips from the remaining patterned paper. Cut directly above the punched area for a "puzzle piece" effect. Glue paper strips and punched circles to your card base. Punch eight squares from your patterned paper using the small square punch. Use the brown ink pad to distress the sides of your sentiment. 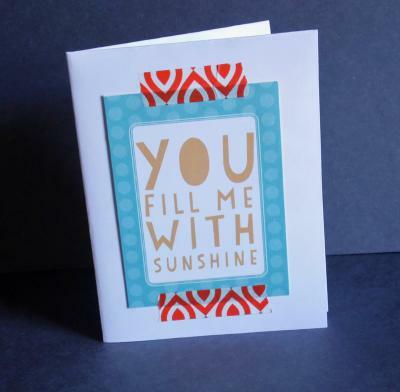 Glue the sentiment to the middle of your card base. Add four squares to each side. Deciding what you want your card to say is often the most enjoyable part of the card making process. 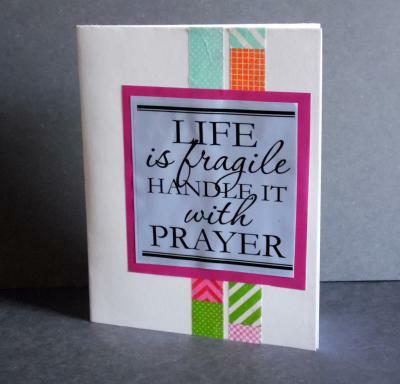 Sentiments can be found in 3x4 journaling card packs such as those from Authentique, in clear sticker packs like those created by The Paper Studio, or in packages of rub-ons such as those from Die Cuts With a View. Alternatively, you can create your own sentiments using your favorite fonts and image editing software. 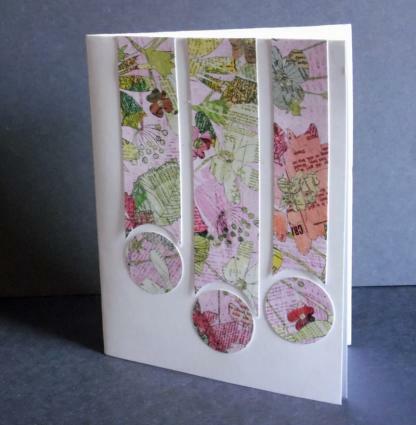 Decorative edges can add interest to your designs for handmade greeting cards. Simply trim one side of your card with decorative scissors, then add ink or chalk to the cut edge for a bit of contrast. If you've never worked with decorative scissors before, remember that you need to cut slowly. The pattern on the blade needs to be realigned after every cut. It's a good idea to practice on scrap paper before you attempt to cut the actual greeting card. Adding a cut-out window to the center of your greeting card gives it a stylish look without a lot of extra effort. The window can reveal all of the design on the inside of the card or it can showcase a small part of a larger image. Depending upon the size of your project, you may be able to add a window simply by punching a square or circle in the middle of the card. If this doesn't work, trace around a square template and hand cut the window with a craft knife. After you've added your window, define the edges by adding a hand-drawn design, border stickers, glitter, flocking powder, or tiny beads attached with double-sided tape. Experimenting with the shape of your card is one fun way to give a simple design a bit of flair. Many people think of greeting cards as either square or rectangular. While it's fine to make cards this way, you can also make cards that are hearts, stars, circles or other interesting shapes. Shaped cards can be cut using a craft knife and a template. However, when making shaped cards, you will want to check on the amount of postage that is required to mail your design. Awkwardly shaped cards often required extra stamps even if they are not particularly heavy. Designs for handmade cards with interactive elements are sure to be a hit, especially if you're making a card for a child. Ideas for Making a Pop Up Card has ideas for several pop up cards, including a template for an "I Love You" card that can be personalized with a photo and the text of your choice. Quilling is a technique that involves rolling thin strips of paper into shapes that are used to make flowers, animals, and other designs. Free Quilling Patterns has links to several designs you can use for your card making projects. 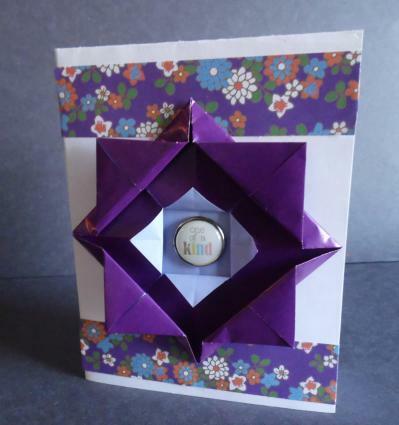 Card making is a simple way to show your appreciation for friends and family. Despite the convenience of email and instant messaging, most people still love to receive cards in the mail. Your handmade creations are sure to bring a smile to the recipient's face.